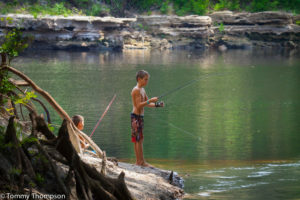 If you’re interested in a first-class RV resort with easy access to the cooling waters of Florida’s Suwannee River, you can’t do much better than Frank and Susie Page’s Suwannee River Rendezvous, near Mayo in Lafayette County. Lafayette County is located in North Central Florida, just east of Taylor County and Perry. The main route through the county is US27, which runs from High Springs, near I-75 to Tallahassee, the state’s capital. Frank and Susie bought the place in 2008 and despite a few floods, they’ve turned the area around Convict Spring into a nice destination for snowbirds, or even short-stay RV-ers. 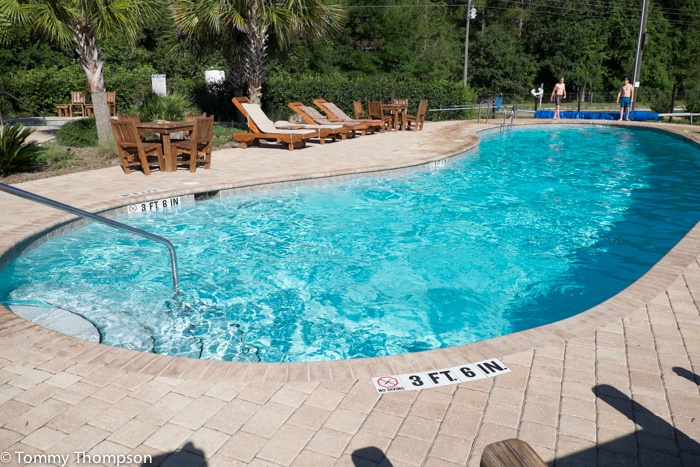 Originally, the “resort” was a simple campground near the river and spring, but now it’s been expanded into a modern, full-hookup campground with a pool and amenities. While the new area has a nice (heated!) 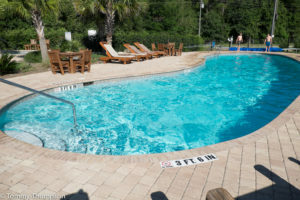 pool and hot tub, guests shouldn’t miss a dip in the cool, 72-degree, original spring by the river. While not first-magnitude, the original “swimmin’ hole” offers a look back on Florida’s smaller springs. 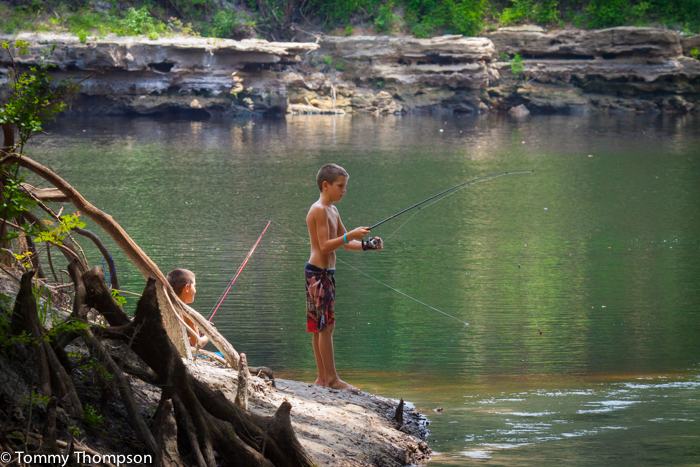 Also, don’t miss paddling on the Suwannee River or just tossing a fishing line into the water. Many visitors arrive in campers of all shapes and styles, large and small. Some choose to stay in the sunshine, in the new campground, but others (tenters, too!!) prefer the shade of the original park. There are campsites with full hookups there, too. And, if you just want to relax and not worry about leveling an RV or pitching a tent, there are cabins and motel-style rooms, too. 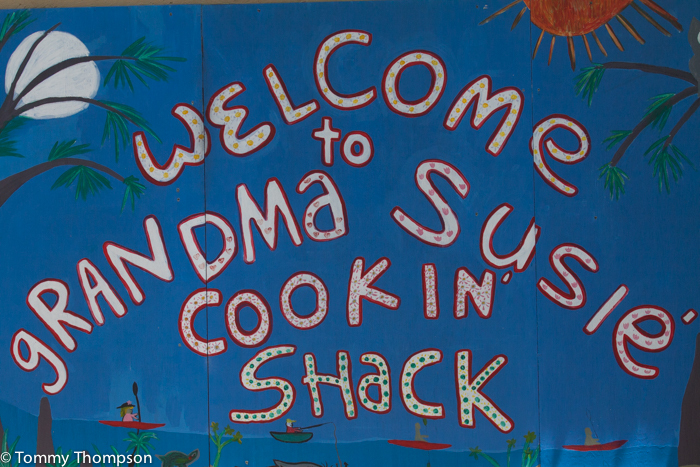 Finally, eating is a big part of camping, and I can’t stress how good the food is at Grandma Susie’s Cookin’ Shack, next to the lodge, near the river. 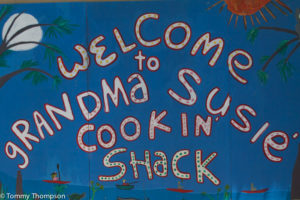 Even if you plan to cook on your own, you owe it to yourself to get at least an ice cream sundae at Grandma Susie’s!